CooksRecipes has quality, kitchen-tested recipes for diabetic-friendly beverages, foods and gift-mixes that you can count on for accuracy and deliciousness. 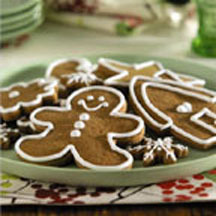 This recipe makes a large batch of cookies - ideal for parties, for the holidays or for giving as gifts. 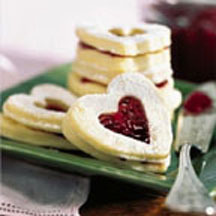 Pretty cookie sandwiches made with a raspberry filling and a whimisical heart cut-out in the center. 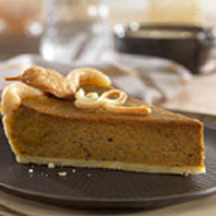 The reduction of both fats and sugar in this tasty pumpkin pie recipe means those monitoring their diet can have a happy holiday with pie!